Charlotte Ward today welcomed the Royal Palace decision, inspired by her own first spectacular month in the world, to also name their new daughter Charlotte. The coincidences were not lost on Charlotte Ward’s parents, Mel and Nick. Born exactly one month after Charlotte Iris Pamela, Charlotte Elizabeth Diana also has the same number of middle names, was born within a few miles of North Middlesex Hospital, and is similarly small and female. I find myself wondering why I am so terribly upset. It is true that I was very upset when Van Nguyen was executed in Singapore in 2005, and all John Howard could do was say he didn’t agree with the death penalty but, you know, Just Say No To Drugs. But I am doubly upset now. I think it is partly because I don’t think the death penalty is justified. Ever. It is barbaric, it is cruel, and it creates murderers of employees of the state. You also can’t undo it if somebody makes a mistake – and people regularly make mistakes. It is partly also because Myuran Sukumaran and Andrew Chan had shown themselves to have been deeply changed, from stupid and greedy boys smuggling drugs to intelligent talented young men contributing to society. They have not only expressed remorse, but they have acted on this remorse, and shown that people can become reformed. And it is partly because my sense of justice is appalled that it has been suggested that bribes were sought when determining the sentence these boys were given, that ultimately ended their lives, and nobody in the Indonesian government or judiciary cared enough to fully investigate these allegations before carrying out the executions. But most of all it is because this whole affair has felt like something I am all too familiar with: it has felt like a business deal. It has felt like something the Indonesian president decided for business reasons with no consideration to the human hearts his firing squad were told to ‘burst’. I believe in the sanctity of human life, and maybe that’s just me, but even if you don’t believe in that, at least pretend that you give a damn that you’re killing people. Show that you bloody care about the whole matter. And show a little respect to the people you are killing, and the people they leave behind. None of that was visible here. I can’t help but feel that as much as these guys did something terribly wrong ten years ago, in the end they ended up being political pawns. They seem to have been made an example of… By the people who decided that the AFP should give the tipoff they received to the Indonesians rather than act to arrest them when they arrived in Australia; By the Indonesian legal system who elected to give them a penalty grossly out of keeping with their crime; And finally by an Indonesian president who said he was ‘fighting the war against drugs’, that same old glib throwaway line that excuses people from reading research on drugs and addiction and allows them instead to buy cheap political capital with the ill-informed. Today has left its mark on me. I have visited Indonesia many times, and have loved its great cultural diversity and people. I have visited Bali and Lombok and other islands, I have loved the country’s natural beauty. Yet I have reflected of late how a lack of care for the environment has deeply impacted that beauty. Now I’m afraid I find myself deeply troubled by an attitude I have observed here, an attitude which perhaps is that of just one man, I’m not sure, but it is an attitude of icy coldness which leaves me with no desire to return. With respect Mr President, friends don’t treat each other this way. Life is more than a business transaction, it is more than politics, in my world. I’m afraid I won’t be back to Bali any time soon. As I approach a significant anniversary of my birth, let me indulge in a little reflection, and a tiny bit of looking ahead. If the key to happiness is to live in the moment and love what you have – and not hunger for what you don’t – then perhaps I need to scribble down some observations on this life I appear to have signed up for. Being the quintessential E-type, I will of course share these private thoughts with the world, as one does. I was talking to my friend Warrick a little while back and he reminded me that my life sounds pretty great to a lot of people. Freedom to travel and come and go as I wished. I reminded him that it didn’t actually feel that great a lot of the time and I’d give my right arm to have a husband and child as he does. Turns out said child had been energetically resistant to going to bed that night, and Warrick made an observation about the apparent greenness of grass in each of our camps. So let me look at my life of travel. It’s true, I travel more than many of my friends. Alright, most of my friends – but to be absolutely clear, not all of my friends, and that’s even when you exclude the ones who are airline pilots. I work in the travel industry. I have visited all seven continents and travelled through countries from A to Z. That’s not true, I haven’t been to the Z’s, it would be A to Y. You could almost say I live and breathe travel. I believe that travel is a fundamental lifeforce for many of us, as basic a need as food or oxygen. The first Australians discovered the need to Go Walkabout, while indeed they only themselves arrived in this great continent as a result of the trans-migration which saw humans populate every corner of our globe. Travel is in our DNA, and even more so for Aussies and Kiwis than people from other countries. I’ve always been intrigued by peoples’ resistance to change, when in fact they choose to change their activities and environment many times each day. Work a while, eat a while, work a while longer, play a while, sleep a while. We can’t keep doing the same thing or we go stir crazy. And so we are in the most part energized by travel, by it’s defeat of boredom and repetition. I for one am also energized by the ‘higher purpose’ which I believe travel can deliver to this world we live in, changing people for the better through their travel experiences and the people they meet. I like to travel, I like it a lot. The view from my desk changes almost daily, and I get to have favourite coffee shops where the baristas know I have a Large Skim/Skinny/Trim Latte in half a dozen cities. I have a good relationship with a number of airlines and usually get an ok seat, although intriguingly it seems I get the best seats on the airlines on which I have the lowest frequent flyer status. Why are airlines so often good at flying and bad at business. It has it’s down sides too. Disruption of sleep is a biggie (he says through stinging eyes), both through early starts and sleeping in unfamiliar beds, although I’ve got used to the latter far more than the former. Missing people, events and routine (such as regular swim squad) is annoying. And I’m sure spending a lot of time at altitude can’t be all that good for you: between thin atmosphere, increased radiation exposure, reduced physical activity and that bizarre fluid retention thing, you don’t feel like a well oiled machine when you leave an aeroplane. All in all however, I’m a fan of travel and it’s central position in my life is welcome. There are other good things to reflect on too. I live in a great country, and that’s a big plus. We’re in a mess politically at the moment, and as bad as the current government is (and it is a shocker) I must admit I have had serious misgivings about the three Prime Ministers before this one. We will, however, come back from this hole. We are not the mean and nasty country we may appear to an observer at this moment, we are a fair and caring people, we are clever and we are resourceful, and we will return. I have a great job. Amadeus is a fantastic company with a fantastic future, it has a central role to play in this rapidly evolving world of travel. The people I work with are second to none. No complaints there. I live in a pretty cool apartment in a pretty cool suburb. I have friends, although most of the really close ones are a long way from where I live. Note to self: expand your friendships, Nicholas. E-types need to be around people. Which I guess brings me to the elephant in the room. The sparkling excitement of being gaydom’s most eligible bachelor has worn off, yet I find myself pushing people away who might remedy the situation, only to be attracted to guys who are never serious prospects. I’m sure I’d be a psychoanalyst’s dream. It is not a situation which brings great joy and happiness. The other elephant in the room (and two elephants in any room is pretty uncomfortable) has been my hopes of one day becoming a dad. In fact, with my best friend Mel we have been exploring the possibility of having a child for some time. The road has been a long one, and we’ve learnt a hell of a lot. And next April we are having a baby. So, life is going to change a lot, and I can’t wait. 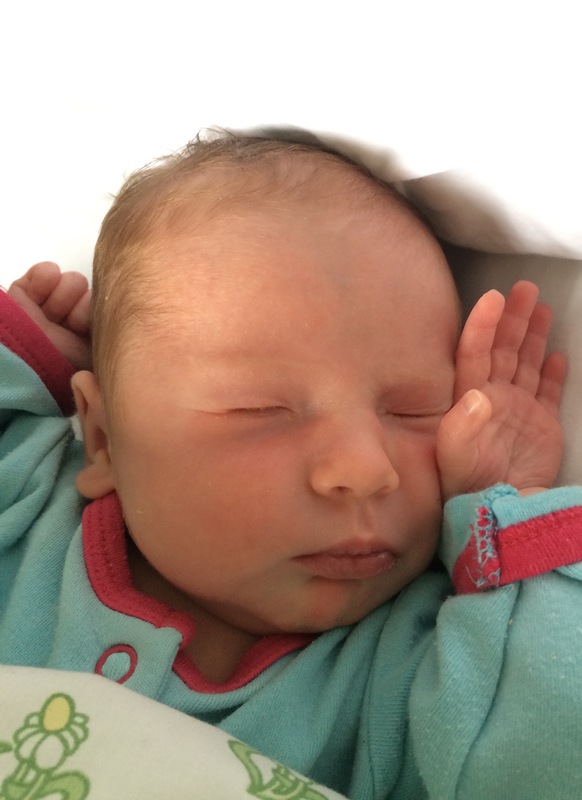 Time for a new chapter, one in which a little human being is the centre of my focus and energy as I work to create an environment in which she can grow and learn and become the best person she can be. There’s plenty to take stock of, as I move into a bold new world. It’s ten years since I was last in Japan. It’s twenty years since I was first in Japan. No surprises: things have changed. When I first visited Japan there was pretty much no Latin script on anything. This is more challenging than you might think: street signs are illegible, place names the same, nothing is easy to even jot down for the benefit of a taxi driver. When you tried to communicate with a local they were often afraid to talk to you – the loss of face should they be caught unable to communicate made it a better option to avoid the ‘gaijin’. On this trip there were still plenty of Japanese with little or no English, as you would expect, but signs were now in Latin script as well as local script, and my little ham-fisted attempts at Japanese phrases were regularly met with a competence and willingness to speak a few English phrases back at me. What has really changed is the nature of tourism between our two countries. In the 1990s most tourism involved Japanese coming to Australia, and mostly Queensland, for short package tour holidays. Now the movement of holidaymakers is in the reverse. And it’s mostly the result of snowsports. For Japan has the most amazing snowfields, and Australians have discovered them. While Niseko is probably the best known destination, my recent trip was to the next most popular, the Hakuba Valley. North-West of Tokyo, it was a major venue for the 1998 Nagano Olympics, hosting the downhill skiing and jumping. Coming from Australia, I was amazed at this place. It was a ‘poor season’, indeed toward the end of my stay the winds were seriously warm, but I only once in eight days skiing saw dirt peek through the snow in one well-trafficked spot of the busiest ski area. You see, thanks to the freezing moist air that travels to Japan from Siberia at this time of year, snow depth is generally in excess of 2 metres, and often a lot more. It’s just amazing snow. Then there’s the cost factor. 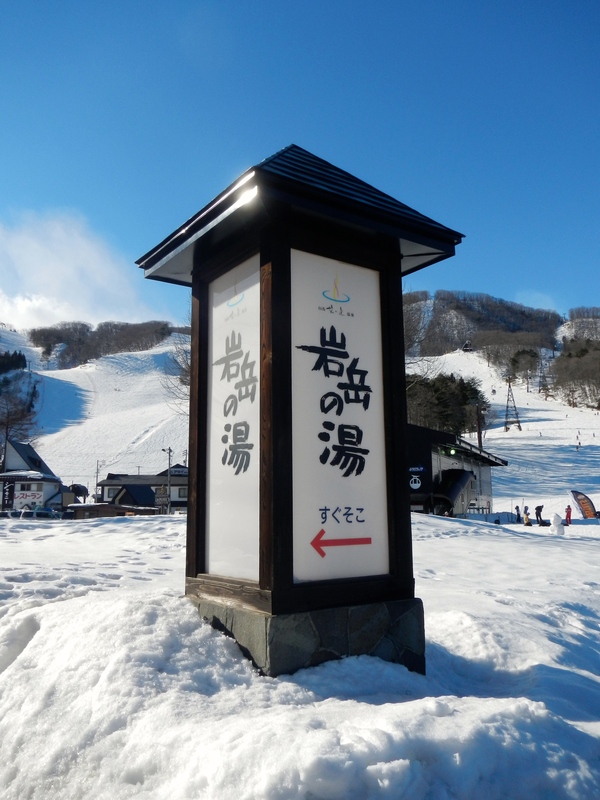 Lift passes are around AU$40 per day – and they often throw in a credit of ¥500 or so toward your lunch, and sometimes even a free onsen. Yes, really! Restaurants are AU$10-AU$30 for an outstanding meal, and accommodation is extremely reasonable – we stayed in a place called ‘Hakuba Cottage‘ in the quaintly-named ‘Echoland’ and my travelling companions and I had a very Japanesey house to ourselves a stones throw from great food and great onsens. So let me tell you about the onsens. A lot of Aussies and Kiwis are a little self conscious about baring all, but I’m afraid that’s a hurdle you need to overcome. The reward is worth it. A roasting hot spa surrounded by snow, they are wonderfully social, often welcome you to take a drink in with you, and they are cheap as chips, generally ¥500 (around AU$5) a visit. A great place to mix with locals and snowboarders alike from all over the world. Naked. Could be a lot worse. Now, there’s a risk that Climate Change could see the moving Siberian air mass disrupted and things change for Japan. There’s a very specific climactic phenomenon which drives this huge volume of snow at close to sea level. Then again, where in the world is not at risk? Anyone really think we’ll be skiing at Mount Buller in 20 years time? For now, the question for me is close to home. Do we really think an overpriced overcrowded unreliable ski industry in Australia can survive increased ease of visitation to Japan? I doubt it. Go for more than a long weekend and it doesn’t make sense to go to the Australian skifields. As a boy who’s parents were instrumental in the early days of the Ski Club of Victoria, that saddens me. So, the worm has turned. It wasn’t long ago when we were debating the merits of signs in Japanese dominating souvenir shops on the Gold Coast and in The Rocks. Now the signs are English signs all over the Japanese skifields. I wonder whether the debate is going on over there now, or whether they are just loving counting those yen being passed across the counter. So it’s Australia Day and I’m writing about America. It’s not as strange as it may seem. The arrival each year of ‘the silly season’, those six weeks between mid-December and Australia Day, always gives me the opportunity to reflect on my year. It’s a luxury afforded to a country where ‘the holiday season’ and ‘the summer break’ coincide that our residents have a real chance to recharge the batteries, as very little groundbreaking work is undertaken in the majority of workplaces. As many readers will be aware, this last year I undertook a two week trip around the United States of America, and as always when I visit that country, it got me thinking about this intriguing place, and also about my own country. In actual fact, I commenced writing this back in late September while on a boat travelling up the middle of a lake. Fifty years ago it wasn’t a lake, but a series of canyons, most well over 100 metres deep. These were likened to a more delicate version of the Grand Canyon, which itself commences a few kilometres downstream along the mighty Colorado River. 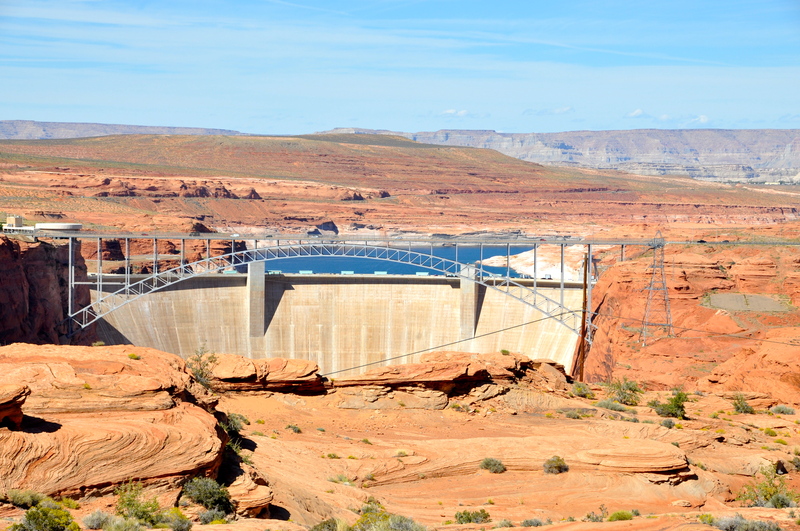 Then they built a dam across Glen Canyon and started filling ‘er up. It took almost twenty years to fill. The native fish species, which had evolved to live in a fast moving and flood-prone river, pretty much died out and were replaced with lake fish, and the canyon vegetation was replaced with exotic plant species more suited to the new environment. 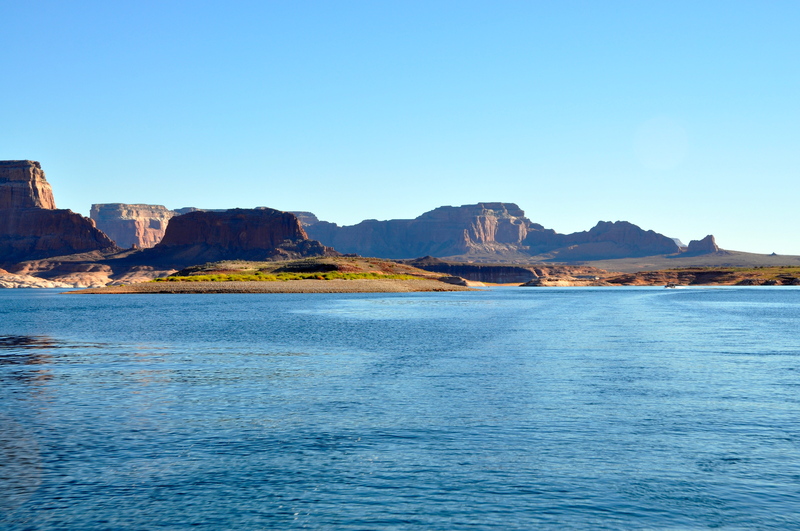 And so a new, wonderful, man made place was created, Lake Powell. Straddling the states of Arizona and Utah, its beauty is indescribable, arguably not what the old canyon lands were, but certainly way more accessible to your average joe. Now speedboats, jetskis and multistory houseboats would allow Americans and visitors alike to experience in a day what hikers of old would have taken weeks to get to. And so they pushed on toward the next, bigger, project – a series of dams built in the mighty Grand Canyon itself. The scale was to be like nothing on earth. This, however, was the 1960s, and the environmental movement in the US had begun. Some say that in fact it was the reaction to Lake Powell which started the movement. After a long battle a rather surprising compromise was reached: instead of damming the Grand Canyon to feed the region’s insatiable appetite for power, a massive coal-fired power station would be built in the middle of the canyon lands. 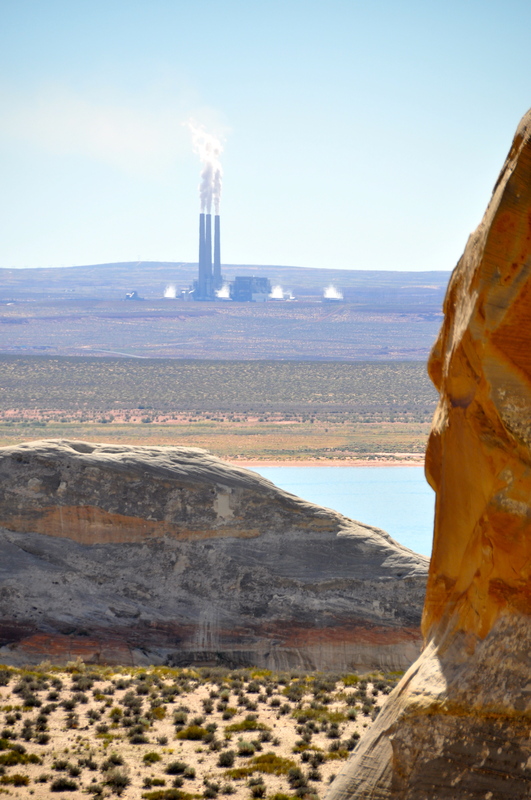 It was perfect, the coal had always been there, in the middle of Navajo land, and with the already-existing power lines built for the Lake Powell hydroelectric plant it would be quick and easy to link into the grid. Allow it to be Navajo owned and run and it had to be the perfect solution. Of course, it’s never quite that simple. The power station is now an appalling eyesore and horribly polluting, detracting from the area’s tourism potential. The lake is slowly silting up and the water level is dropping due to climate change and water demands downstream. The porous canyon walls are slowly crumbling. It’s all very gradual, but you can see it’s happening. So, as you can see, the region is not without its controversy. It seems strangely fitting that that very day, as I travelled up the lake, supply was cut off to the US government by a Republican Senate wanting to stop the creation of a healthcare safety net for the poor. Hundreds of thousands of government workers were stood down without pay, while the Senators salaries remained untouched. Tourism was heavily impacted, with key destinations such as the Grand Canyon and the Statue of Liberty closed to visitors. Crazy as it was, this kind of thing had happened before and now was to happen all over again. Well, the shutdown ended up lasting 16 days. Bizarrely, policing the lockout of visitors to the country’s National Parks saw the mobilisation of huge numbers of personnel, vehicles and aircraft to police the boundaries and find and arrest anyone who dared to attempt to sneak in. When a few of us ourselves snuck down to the lakeshore for a swim on the first day of the shutdown we were buzzed by a plane marked ‘Park Ranger’. One can only imagine more was spent on this fiasco than would have been spent on keeping the parks open. Americans can be so mean. So, we had our visit to Lake Powell impacted, and we never did get to do our hike into the Grand Canyon. People we met on the rest of the trip told of never wanting to return to the country, such was their disappointment. Real shame. What a kick in the guts for the tourism industry and the people who’s livelihoods depend on it. In reflection, the saddest thing is that there are so many parallels between the US and the way Australia is heading. Shortsighted ambition, greed is good, more for me, damn the consequences, on both individual and organisational levels. Gordon Gecko is not dead. Bear this in mind this Australia Day, let’s create our own destiny and not be guided by what happens on the other side of the Pacific. OK OK, so now I’ll get down off my soapbox. Putting aside my personal concerns about the environmental history of the region, this Lake Powell swim trek (another with Strel Swimming with whom I swam twelve months before in Croatia) was fantastic, and Lake Powell remains a magical place. Perhaps it is magical in part because nobody would get away with filling such a place with water in this day and age, so it is pretty unique. Head deep up into the numerous canyons coming off the lake and wonders abound. It is truly beautiful. You are, in essence, swimming 100 metres or more up the towering canyon walls. In some places the canyons are a few metres wide, in others a kilometre wide. Similarly, the walls are a few metres above the water in places while in others they tower a hundred metres or more above your head. The colours are amazing reds and oranges and yellows and change throughout the day. Towering rock formations dot the area, flat topped buttes, wave-like rock walls, jagged rock outcrops. Do I want us to build more dams in Australia to feed our appetite for electricity? No. 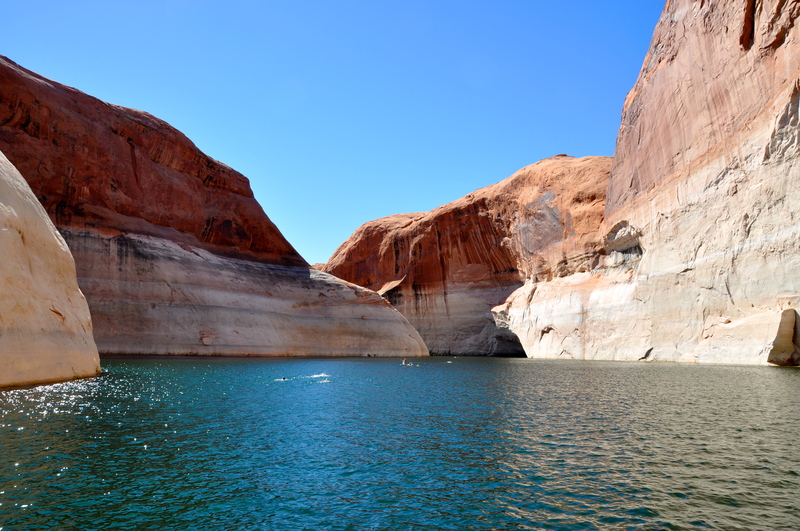 But perhaps Lake Powell’s biggest contribution may be stimulating an awareness of the environment and making more of its type unlikely. I’d like to think so. 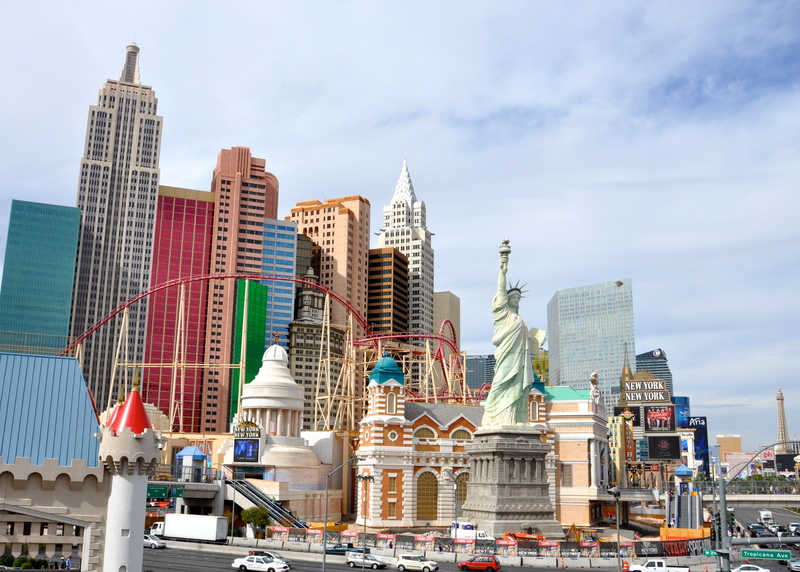 As an endnote, before leaving the US we visited somewhere I’ve wanted to see for many years – Las Vegas. Illuminated no doubt in part with the electricity generated in Navajo Land, it is spectacular and, in so many ways, a summary of so much I see as American. Ambitious, entertaining, colourful and imaginative. In tune with its environment? Hell no. But what a lot of fun. Just like America. And one of the last places in the country that would ever be shut down by Republicans. I have on occasion stated that I believe that a lot of Australia’s politicians have the intellectual capacity of a two-year-old. Well, last night I was shown that they certainly don’t have the intellectual prowess of a fourteen-year-old secondary school student from the eastern suburbs of Melbourne. Let me share with you the presentation which my neice Milly recently gave her class on Australia’s treatment of asylum seekers, which she shared with me last night. It is an uncle’s job to be shamelessly proud of his neices, but this had me questioning whether we as a country are looking in entirely the wrong places for intelligent analysis and leadership. Good afternoon ladies and gentlemen. My name is Milly Ward and I will be addressing you on the issue of asylum seekers coming to Australia by boat (or ‘boat-people as they are commonly called), how the Australian Government is dealing with them, myths that the government has a lot of Australians believing and some short and long term solutions. Starting with the PNG solution. For those who need it clarified, the PNG solution is something that the Australian government implemented earlier this year. It means that anyone coming to Australia by boat without a visa or passport will never be settled in Australia, instead they will be settled in Papua New Guinea. There are so many reasons why this is a bad idea which I will speak about later. To be honest I think it is the government simply paying billions of dollars to dump people they don’t want to have to deal with into a small, third world country. What appals me even more is that Australia is obliged through many international treaties to protect the human rights of asylum seekers and refugees, regardless of where they come from or how they arrive. The Australian Government is saying that to arrive on a boat as an asylum seeker without a visa or passport is illegal. It is NOT ILLEGAL! The Australian government signed the 1951 United Nations Refugee Convention which states that anyone seeking asylum or is a legitimate refugee is not an illegal immigrant. Another thing I honestly find just a bit silly is that the government is only focusing on the asylum seekers coming by boat while there are hundreds more coming by plane but the government simply isn’t concerned by this. The government is also creating lots of myths about asylum seekers who arrive by boat which most Australians believe. I have a list of eight myths around asylum seekers who arrive by boat and I’m going to tell you the truth about them so that everyone can have a better understanding of the whole situation. 1. Thousands of ‘boat people’ are arriving at our shores in unprecedented numbers. There are around 10 million refugees in the world. Pakistan has over 1,700,000 refugees, more than any other country. Australia is at number 47 with a mere 23,000. Less than countries like Italy, Sweden, Canada, the United States of America, France, Germany and the United Kingdom. Australia receives only about 3% of all asylum seeker claims in industrialised countries. 2. We are a magnet compared to other countries. Following on from my last point this clearly isn’t true. Refugees will more often than not go to neighbouring countries before coming to industrialised countries like Australia. Also, Australia being an island, it’s not the most convenient, safe or cheapest country to go to, it’s much easier to go to countries that are close. 3. We take more asylum seekers because we are a rich, first world country. This is ridiculously untrue. As I have already said asylum seekers will usually go to neighbouring countries, not only for the reasons I’ve already mentioned but its closer to what they know, people will look the same, there will be people from their country already there and they might not have to learn a new language. 4. Asylum seekers arriving without a visa or passport are illegal immigrants. It is NOT illeagal to seek asylum. Everyone has the right to be safe and in 1951 Australia signed the UN Refugee convention which means that seeking asylum in Australia IS NOT ILLEGAL. 5. Most asylum seekers come by boat. While most people will probably think this is true, it’s not. In fact statistics show that at least 13 asylum seekers arrive by plane per day, more than 32 times the amount coming by boat. More than 96% of refugee applicants arrive by plane. 6. Asylum seekers are taking our jobs. Again something I think most Australians believe and possibly something people are most concerned about. The federal government released 16,000 asylum seekers into the community while they wait for their refugee claims to be processed, which can take many years. They receive $220 a week from Centrelink, however they are on bridging visas which means they are not allowed to get jobs. 7. They don’t assimilate or contribute. After surviving life threatening journeys they possess courage and strength, qualities admired in Australian society. History shows that refugees have contributed economically and socially and their success is seen in many ways. One example is the Do family. They came to Australia from Vietnam in 1980 in a leaky fishing boat 9.5m long and 2m wide with 40 people on it. During their 5 day journey they were robbed by pirates, nearly died of starvation and thirst and had people kidnapped and drown. They struggled to make ends meet for many years after they arrived and now their oldest son Anh is an extremely successful comedian, actor and author and his younger brother Khoa is a movie director, screenwriter and was the young Australian of the year in 2005. 8. We can just turn the boats back. This has been a very highly discussed topic of political debate between then Prime Minister Kevin Rudd (who says we can’t) and the then Federal Opposition leader Tony Abbot (who says we can). The truth is that whereever they come from most asylum seekers use Indonesia as a launching point for Australian waters. 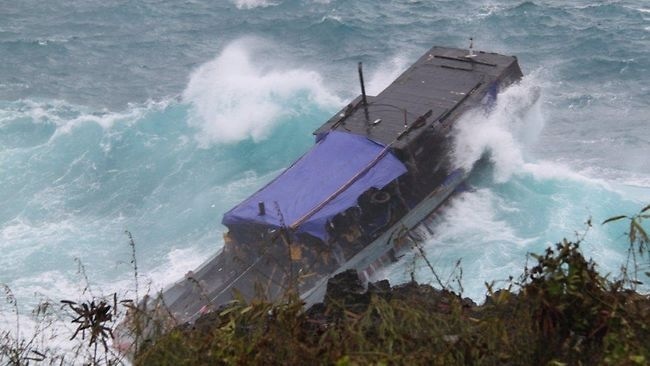 Indonesian president Susilo Bambang Yudhoyno has indicated that towing boats back into Indonesian waters isn’t an option however it is likely that a regional discussion will be held to discuss a joint solution. While the government thinks they have a good solution with Papua New Guinea it’s really not helping anyone. Papua New Guinea is an extremely poor, small third world country and Australia is paying billions of dollars that could be used to develop Australia’s schools, hospitals, roads etc. to dump refugees into a country where they are not going to be living very pleasant lives. I have two solutions that are much more humane and effective. I have a short term and long term solution. My short term solution is to help all asylum seekers that come to Australia, in Australia. Maybe set up a shelter that houses and looks after refugees or asylum seekers waiting for their refugee claims to be processed. We could build a factory and company that make items to sell, like clothes or jewellery. I think that it would be really good and possibly quite successful to have a company run almost entirely by refugees. It would show how successful they can be when they have the chance. My long term solution is to go and help the countries that most asylum seekers come from and help them sort out the issues that are forcing people to leave their country and become asylum seekers, because refugees would much rather stay in their own country where their family and friends are, where they know the language and where home is. They only leave because they have no choice. I know that by far this is not the easiest solution but it is the most permanent. We can raise money by appealing to all types of people. For people who want to stop the boats you can say that this will truly stop the boats for good and for people who are on the side of the asylum seekers you can say that this will help them immensely and mean that they won’t have to risk their lives to find a safe place. You can organise charity concerts and fundraising events to also help raise money. I sincerely hope that you have taken on all my ideas because I know that millions of people share my opinion and maybe it has given you a new perspective. I too hope that this saw Milly’s classmates take on a new perspective. By all accounts, it did. Milly tells me it was easy to research and prepare her presentation, the information was all right there waiting to be googled. Yet this all remains such a struggle for so many of our politicians, our media and consequently Australia’s population to get their heads around. But then, there are other agendas. We can, of course, find solutions. Fourteen-year-old Milly has shown how easy it is to see through the myths and come up with a few pretty interesting ideas, and she’s also shown that it isn’t that hard to tell people about them. She has shown some leadership, something Australian politics is sadly lacking. Perhaps we should always have known who would we would need to look to to tell the emperor that he is wearing no clothes. I have a confession to make: some of my best friends vote conservative. Hell, if the Liberal Party was all made up of Malcolm Turnbulls I might even consider it. Under the right circumstances. Almost. What I find interesting is that a good number of these friends have already made it clear they won’t vote conservative this weekend, because of their fear of what a government led by Tony Abbott might do even in the course of a single three year term. And yet if the polls are right he’s going to win by a long way. Well, no question the ALP haven’t done themselves any favours. While Kevin Rudd is intelligent and speaks well, the internal machinations in a party dominated by powerful factions of questionable motivation have been made very visible over recent years, and it hasn’t been pretty. The real reason, I believe, is not that, however. It’s the power of a small number of very rich and self-interested people dominating the media so completely that their propaganda is presented as news, and people then swallowing it hook, line & sinker. There are two massive interests which are under huge threat at present: traditional media, and super profits from the mining and resources boom. Traditional media (newspapers, radio, TV) is rapidly being pushed toward obsolescence by the internet. Murdoch and his peers dominate the old style media channels, but they are seriously struggling to translate that into dominance of the internet. As a result, they want to slow the shift to maximise their profit streams and buy them more time. Strategy: dramatically limit the National Broadband Network to prevent it providing the speeds required for its next evolution. Oh, and put in filters to slow it further and allow China-style government control should it get too hard to manage. As of yesterday, both of these are Liberal Party Policy. The second set of interests are about mining and resources. While the sun is shining bright at the moment, it is setting, and the Rineharts of the world know it. Again, these are industries that are time-limited and non-renewable, and add to that the slowing of the Chinese economy which has been driving the super profits to this point and they have justification for their concern. So they want to be allowed to go back to paying a fraction of the tax which small businesses would be required to pay on their profits, because, well, they want the money themselves, thank you very much. Oh, and they found dirty fossil-fuel fired energy cheap as chips until the carbon tax brought it back into line with renewable energy, so they want that back too, thanks. Good news for them, not coincidentally, is that removing the mining super profits tax and the carbon tax are also Liberal Party Policy. So these two interests have been using their media dominance to present incredibly dangerous policies as common sense and their knight-in-shining-armour as a credible leader for Australia. It saddens me that Australians aren’t seeing through this. The first thing was that the Joe Hockey, understandably sweating like a marathon runner, finally presented the Liberal Party’s policy costings as a one-page document at a press conference. This was two days before the election, and a day into the media blackout on the election, effectively preventing any real debate on their strategy. 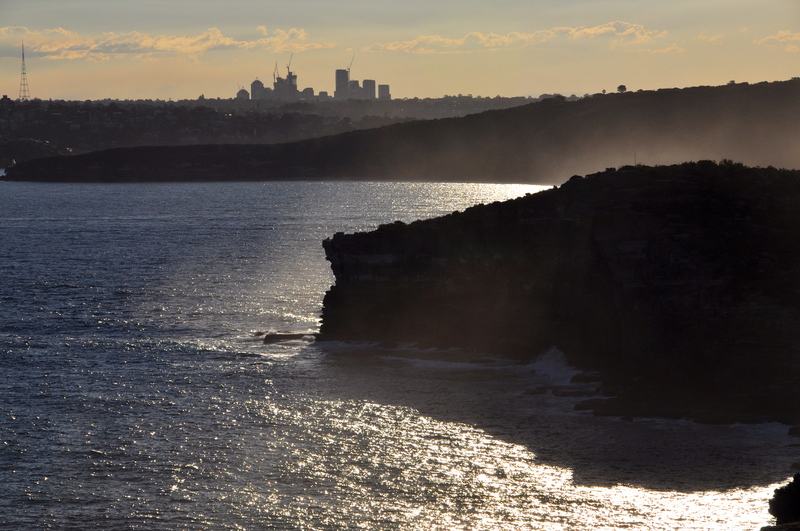 The second thing that happened was that Sydney had a 29 degree celsius day five days after the end of winter. And tomorrow this country is almost certainly going to vote into power a government which is hell bent on turning around the small wins we have had on greenhouse emissions over the past three years and ramp up the production of CO2 again. What can I say. Don’t get me wrong, there are plenty of reasons I’m despairing the likely result in tomorrow’s election. Common-sense on marriage equality; humane policies toward refugees; investment in public transport and infrastructure; a strong public service with sensible social services – these are all things we can wave goodbye to. But the thing that really stinks is that Abbott is presenting his prospective government as having policies based on sound economic management and common sense when they are transparently about the interests of his powerful sponsors. This has happened before, you know. In 1996 Paul Keating had Australia as an international leader in human rights and climate action. John Howard was voted in, reversed our stance on climate change overnight, locked down marriage as being the privilege of heterosexuality, introduced Pauline Hansen, and promoted a racist and selfish Australia making us an embarrassment in the eyes of the international community. So tomorrow, do we go back to the future? You know, I shouldn’t be blogging about this, I should be doing something about it. And I don’t mean move to New Zealand (although I admit I’ve thought about it). In the words of Michael Moore, we should be recruiting someone to run for public office, or, better still, run for public office ourselves. Who’s in? I’ve just returned from a three week test drive of the new Qantas-Emirates Alliance, and I found it most interesting, to say the least. Not being the shy type, I thought I’d share some of my observations. Now, let me start with a disclaimer: I am not without bias, I love the Flying Kangaroo with a passion. In fact, I own some of it. OK, so a really really small part of it, but I did buy a handful of shares in the first release back before I claim to have been born. They don’t get me on the Board, in fact they no longer seem to even get me dividends, but I could show up to an AGM and not be shown the door, which is kinda nice. I also have lots of friends who work for the airline, and I work for a company who does a lot of work with it. Let me therefore not make outlandish claims of neutrality. Switzerland I am not proposing to be. You can imagine therefore that I would have been watching closely as I travelled on this trip, eager to note down the good, the bad and the ugly. Let’s start with the good. It’s easy to see the logic of this alliance. Qantas code suddenly flies into 37 new destinations with only one transit. Awesome. They can now compete head-to-head with Virgin-Etihad on the arguably more jetlag-friendly route to Europe via the Middle East. Emirates in return get access to Qantas’s massive, and affluent, band of frequent flyers. Win-win. The bad: Qantas metal now only flies into 19 international destinations, and there’s no sign of this changing in a hurry. Jetstar flies to almost as many. They have cancelled or deferred plane orders, including almost all their future Airbus A380 deliveries, and the group has given their first Boeing 787s to Jetstar, a bold move which could blur the value propositions of the two brands and see premium Qantas passengers dabble in flying the low cost carrier or, worse still, a competing premium carrier flying newer aircraft. The big question on my mind, however, was this: if you allow, in fact encourage, the massive legion of Qantas Frequent Flyer members to try flying in an Emirates plane, will they still think you have a superior product and stay loyal, or will they switch camps to flying Emirates? Might not matter right now, but as British Airways will attest, alliances don’t last forever, and when they end you want to come out of it with at a minimum the customer base you went in with. So how did the two airlines stack up? On the trip, I flew on a Qantas A380 via Dubai to London, an Emirates 777 from Dusseldorf to Dubai and another on to Bangkok, and a Qantas A330 back from Bangkok to Sydney. I was lucky enough to be flying in Business Class, and in fact was upgraded to First on the Qantas leg from Dubai to London, so I’m afraid this was a front-end comparison, sorry kids. A lot of what I observed however I know translates to economy. The alliance sees Qantas kick off some great product improvements, like chauffeured limousine pickups and dropoffs in Business and First Classes, which was something I found I valued more than I expected I would. Big tick. They also have their pyjamas in Business and First (they’ve had these for a while) which are a really nice touch, makes overnight flights way more comfortable. Emirates doesn’t have the same deal for the Business traveller. Service was pretty much as you would expect, it was good all round, and the First Class leg was, not unexpectedly, outstanding. No big differences between Qantas and Emirates, in fact, the Emirates pilots were Australians as their accents quickly revealed. The Emirates crews were multicultural, which they leveraged by spending five minutes listing the languages spoken by the crew at the start of each flight. Nice one, particularly if you spoke Swahili or Icelandic, sleep tightly knowing you’re covered. The seats and video however couldn’t have been more different. The Emirates TV screen size in Business was massively bigger than that in Qantas, in fact, as big as the Qantas one in First. It was huge. The Qantas TV screen on the A330 from Bangkok was about the size of a paperback, and just as grainy. I read a book instead. The so-called ‘flat bed’ seat on that A330 was at a sharp enough angle to feel like you were sliding into the baggage hold, and the Business Class beds on the A380 weren’t all that much better. The Emirates bed was pretty much flat, and seemed roomier – and it is supposed to be even better on their A380s. 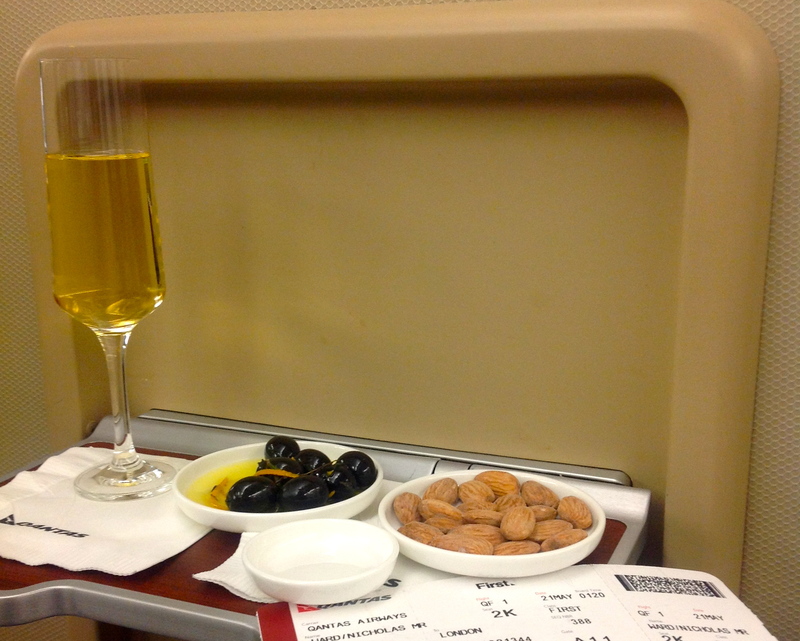 The meals in Business were good on Qantas, but better on Emirates, as were the wines. Neither would I say were something to write home about. The Emirates Lounge in Dubai was crazy, it ran the whole length of Terminal A, was equipped with several restaurants and several more bars and lounges, not to mention an excellent spa. It had its own duty free stores within the lounge, and there were lifts above each boarding gate so you could scan your boarding pass and passport within the confines of the lounge and drop straight down to the plane. Impressive. That being said, the Qantas First International Lounges in Sydney and Melbourne, while smaller, are, I believe, the best in the world. The First Lounges are perhaps the most truly outstanding thing about flying Qantas. The thing which, for me, differentiates a good airline from a great one, however, is perhaps something you wouldn’t expect: it’s the amenities kits. Qantas’s was about as unremarkable as you can get – even in First. Emirates’ kit couldn’t have been more different. Little bottles of Bulgari cosmetics, and a little bottle of fragrance, in a presentation box, took centre-stage. Wow. What a nice touch, that’s a keeper. Let me finish with the ugly: I’m not a fan of Emirates’ creamy beige interiors. There, I’ve said it. Given everything else I’ve mentioned, I trust this is not seen as a damning comment, but rather an offer of interior design advice should any carrier wish to take it up. Go blue, you can’t go wrong with blue. So are the products on an equal par: no, at least not yet. I can fully understand why Qantas is wanting to remain conservative in their spending while their international arm continues to lose money, but that strategy carries the risk that their product quality falls further behind their partner. They can’t afford to do that. Patriotism and sports sponsorships, and a prettier interior, will only get you so far. You need to keep up and, dare I say it, show some leadership in product innovation. I just flew this week to Perth, Virgin over and Qantas back. 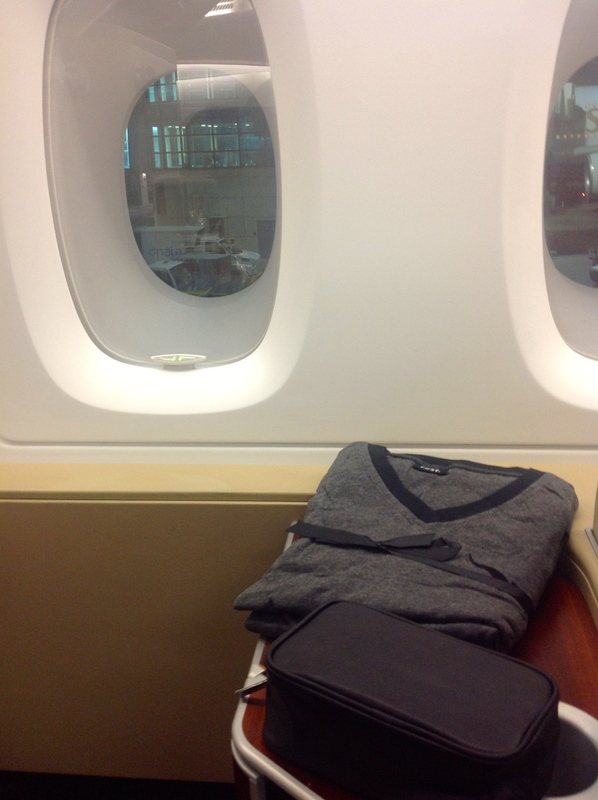 I was upgraded and tried the Virgin Business Class for the first time, and I have to say, it was stunning. Outstanding seats, lots of innovations and, yes, even an excellent amenities kit – and you already know how easily won over I am by an outstanding amenities kit. Domestic is where Qantas ARE making money, and they are under attack on the frontline – the business traveller. Danger Will Robinson. The answer is, yes, spend money, but more importantly, to innovate. Work out what the traveller of 2015 will want and deliver it in 2014, before the competition. I can proudly state that I believe Qantas is one of the greatest airlines on the planet, and has the greatest people working for it, but it risks transforming into simply a strong business running a good little airline. If my loved airline loses its greatness and fades into the background of international aviation I will shed many tears. This alliance is good, and it is good for Qantas, but it is not in itself the answer, simply one part of it. Now it’s time to head out of the comfort zone, spend some money on things other than sports sponsorships, excite us with new product innovation, and reinforce your position as one of the world’s greatest airlines. The clock is ticking. A month ago I was stopped in my tracks during my walk to work. The rainbow crossing which had lit up Taylor Square since mid March was gone, removed in the dead of night while the city’s residents were asleep. I was, frankly, shocked. But let me take you back a back a few weeks to give you some background. 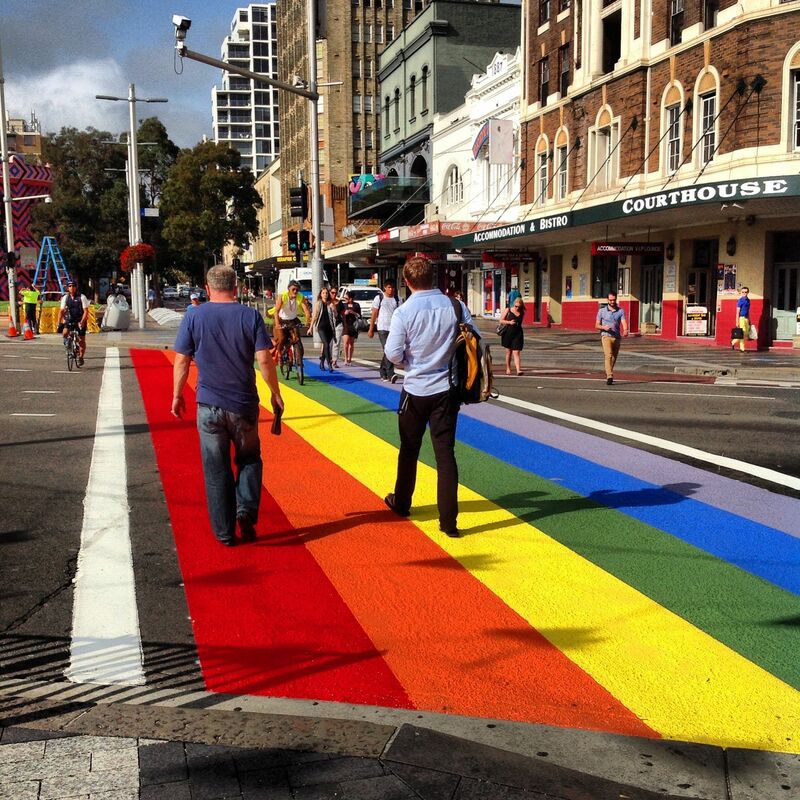 Earlier this year a political wrangle started between the Sydney City Council (along with its supporters) and the Liberal State Government when the council wanted to put two brightly coloured rainbows across the pedestrian crossings at Taylor Square, arguably the heart of gay Sydney, in time for this year’s Mardi Gras. The road, however, was ‘owned’ by the State, not the Council. A compromise was reached, not two but one rainbow crossing was agreed to, but on a ‘trial basis’. Funds needed to be set aside not only to paint the rainbow, they needed to be provided for its removal as well, if the State Government so decided that should happen. And so the rainbow crossing was born. What would decide the success or failure of the ‘trial’, however, appears to have been a little unclear. So let me return to my shock. I was of course aware of the political wrestling match that had been taking place between Clover Moore, with her protege Alex Greenwich, and the state government – this was less about rainbows and more about a government who deeply resented the failure of their attempt to remove Moore’s influence from parliament when ‘pseudo-Moore’ Greenwich was elected to succeed her. I imagine that hurt those happy-go-lucky Libs a hell of a lot. What shocked me was that they were so tactically stupid as to shoot the family dog, and at a significant cost to the taxpayer, to do it. You see, not only was that little piece of sunshine growing in popularity with Sydneysiders at a significant pace, but it was also rapidly becoming a tourist attraction in its own right. Inbound tourism is a huge money earner for any economy, in fact, when it comes to services in Australia tourism is second only to education in the export dollars it brings in. It’s big bikkies. You don’t rip up tourist attractions, that’s just dumb. And to do it in the middle of the night brings back nasty memories of the dark days of Joh Bjelke Petersen and National Party Queensland. As it turns out, spite, and a healthy dash or small-minded bureaucracy, ended up ruling the day. This, however, is not just another sad and depressing tale. You see, over the days that followed, something wonderful happened. Emotion can easily lead us down a path we wish it hadn’t, but sometimes it leads us to great things. 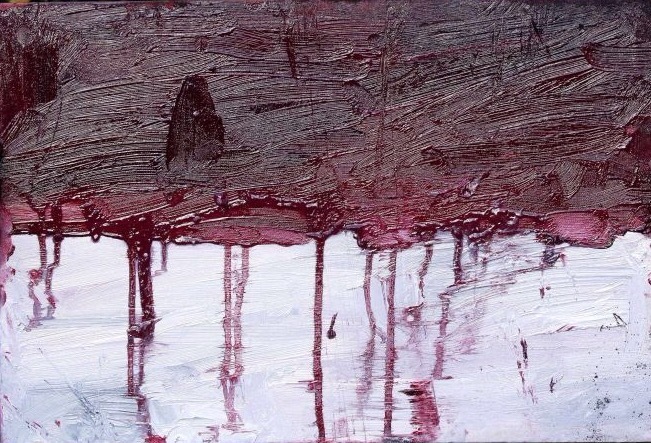 That night I was having dinner with friends and we all admitted we had had the immediate desire to sneak out in the dead of night with some spray cans and paint the damned thing back. It appears we weren’t alone. A couple of days later rainbows on roads (for the most part, chalked – a sensible compromise to stay the right side of the law) started appearing on Facebook. 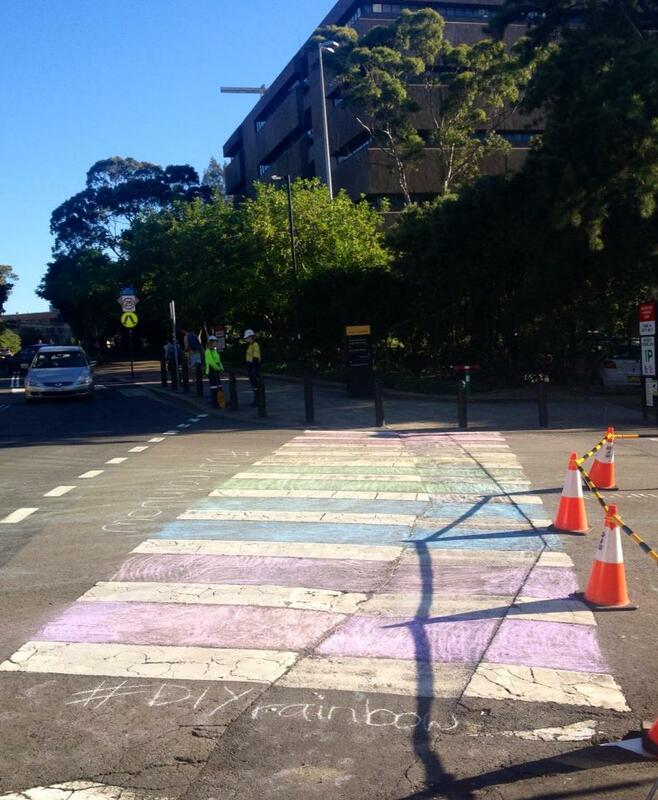 The first was a few blocks from Taylor Square in Surry Hills, and as the DIY Rainbow Crossings ‘movement’ grew, they started appearing all over the place. First it was the suburbs, then other cities around Australia, then all around the world. At last count there were 1065 rainbow crossings with their photos posted on the DIY Rainbow Crossings homepage, with over 21,000 people following it. From Marrickville to Melbourne, Wollongong to Wauchope, Dublin to Delaware, the photos are quite inspiring. Posts of new rainbow crossings are interspersed with the news of this-or-that art supply store having recently received stocks of chalk – yes, the movement has resulted in widespread chalk shortages across Sydney and several other cities. Even my swim club got in on the act, scrawling a chalk rainbow across the road outside our training pool. Move over Arab Spring, people power is back and it’s colourful as all getup. What’s interesting is that unlike the original rainbow, the movements seems to be less about politics and more about community. Don’t get me wrong, there are clear messages of GLBT rights and Marriage Equality underpinning the movement (although in a few countries I suspect a few followers are motivated less about GLBT rights and more about simply liking colourful rainbows), but there is very little mainstream party-political comment. And that, I suspect, is part of its attraction. The movement is clean and simple, just like the concept of equality is clean and simple. So let’s see where this all goes. This week it was announced that The Greens are once again introducing a marriage equality bill into parliament, and will seek to have it put to a vote on 6 June, declaring the position of each party and each politician before September’s federal election. We can be rest-assured that personal beliefs will play second fiddle to political tactics, and that makes this a dangerous time for both Labor and Liberal Parties. Perhaps we will see them over the next three weeks cruising the marginal electorates counting rainbows chalked across roads. Today marks three years since I moved to Sydney. Wow. The city has grown on me, it’s true. I have more friends. There’s still not a lot of “let’s hang out, order pizza and watch a DVD” with most of them, but I’d be comfortable inviting them to my kid’s first birthday. And I’m confident most of them would come. I’ve found some real soulmates, people who I can talk politics, travel and swimming with (although usually not in that order), and those that haven’t nicked off to countries far away play a significant part in my life. Often much more significant than I think they realise. What I find interesting is that, as I’ve made friends, it hasn’t seen me drift away from my dear friends in Melbourne. Or for that matter, my dear friends in Brisbane, a city I haven’t lived in for over a dozen years. Sydney friends have merely become another flavour added to make the whole that much more delicious. Meanwhile, Sydney keeps showing itself to be even more beautiful every single day. Well, I should say, the beautiful bits do. The ugly bits still stay pretty damned ugly. But let’s not get caught up in them. Today we had our last lifesaving patrol for the season, and Tamarama was breathtakingly beautiful. The sky was blue, the breeze was warm, the water was clear and fresh, and the waves, well, I can only describe them as elegently crafted, perfect in every detail. I took a deep breath more than once today and wondered at how you can get such a beautiful beach a mere 10km bus trip from the centre of a city of four million people. On the way home, the harbour glistened in the distance as we headed along Sydney Einfeld Drive much as it has done so many days on my way back from the beach, calm waters dotted with yachts, the Sydney Harbour Bridge completing the vista. Just stunning. Life here has colour and vibrance. The Gay & Lesbian Mardi Gras this year was probably more fun than it has been for years. Make no mistake, watching the footage of the parade I realised it certainly wasn’t the slickest marching group I’ve been in, it’s true, but gee I had great fun. Meanwhile, I’ve started discovering some really edgy bars and a few outstanding restaurants. Occasionally, the city even puts on some great events. Sculptures by the Sea, Vivid Sydney, Jurassic Lounge, all not to be missed. Look, this city infuriates me all the time, it’s true. The state of its public transport, its arrogance and reluctance to listen and learn, the infantile behaviour of its politicians who would rip up a rainbow-coloured tourist attraction purely out of spite, it makes my blood boil. But you know, Sydney people can change these things, and being the optimist I am, I like to think they will change these things, given the encouragement and belief they can make a difference. I’m a Melbournian, and always will be, but I’m happy to be living, for now, in Sydney. It may not be forever, but I know I could never leave it forever either. I have known since I was a teenager that I would, one day, spend some time living in Sydney, and I was right. A job ended up, finally, bringing me to this city in 2010, and it has turned out to be a brilliant job in an outstanding company, one that makes me excited to go to work every day. Over time, other things came into my life in Sydney so that my job wasn’t the only good thing about Sydney. I came in with open eyes and an open mind, and I was rewarded. So, I’m now entering my fourth year in Sydney. It’s going to be an interesting one, I feel sure. It will be one with many changes I suspect, and I suspect they will be good. But we will have to wait and see. The future can be like that. Well, time to hit the sack. Got an early flight to Melbourne. Day 2 of the next year, and I’m already moving between my two cities. Kind of fitting, I’d reckon.